For business or for pleasure. 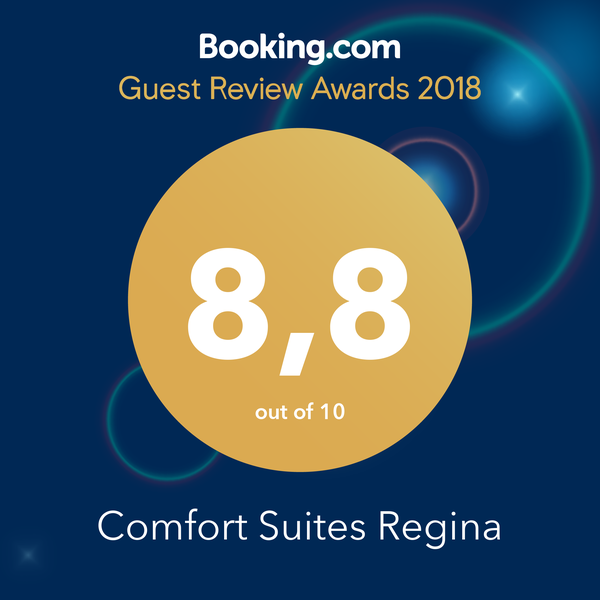 We invite you to be our guest at Comfort Suites Regina, where you’ll discover world–class service focused hospitality that will exceed your travel needs. Whether you’re in town for business or leisure, our Regina hotel’s 121 stylish suites offer the best in space and comfort for an unforgettable escape, enhanced by attentive guest services and top-notch amenities. As one of the top Regina hotels with a waterslide, Comfort Suites is a family favourite. Our water park features a 40-foot waterslide, children's splash area, as well as a separate pool that's ideal for swimming laps, and a jetted hot tub. Staying active is easy with our well-appointed Cardio Centre, offering the best in treadmills, elliptical trainers, bikes and free weights. In addition to comfortable meeting rooms and business centre, our hotel offers a host of other amenities, including a sundry shop and coin-operated laundry. Plus, you get to start your day off right with a hearty complimentary meal as we offer a full assortment of hot and cold breakfast options. Suite dreams are made of these. Our name says it all. 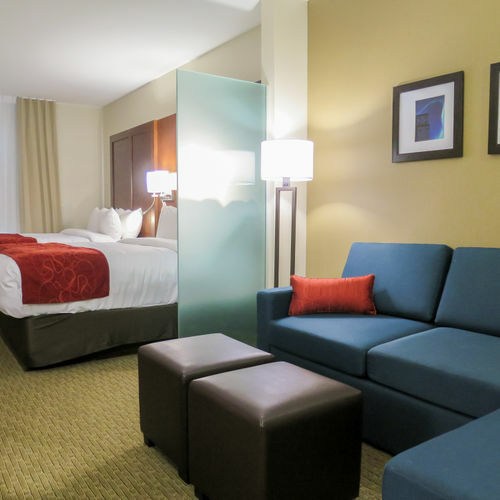 At Comfort Suites Regina, our goal is to ensure your stay is comfortable and worry-free. We understand our guests require different amenities to ensure their stay is satisfying, which is why we offer a range of well-furnished suites. Whether you covet the spaciousness of a king-size bed, or you have decreased mobility or hearing impairment, we have the right room for you. We’re also one of the leading pet friendly hotels in Regina, so if you have a four-legged companion, our pet friendly suites will do the trick. 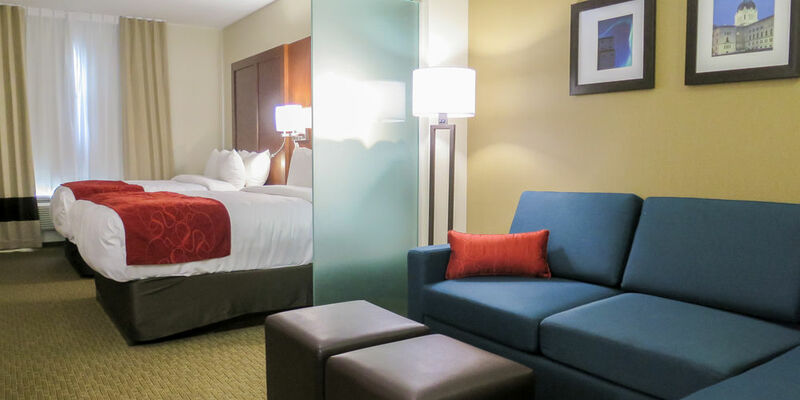 All of our rooms come equipped with wireless Internet, microwave, refrigerator, large HDTV and more. 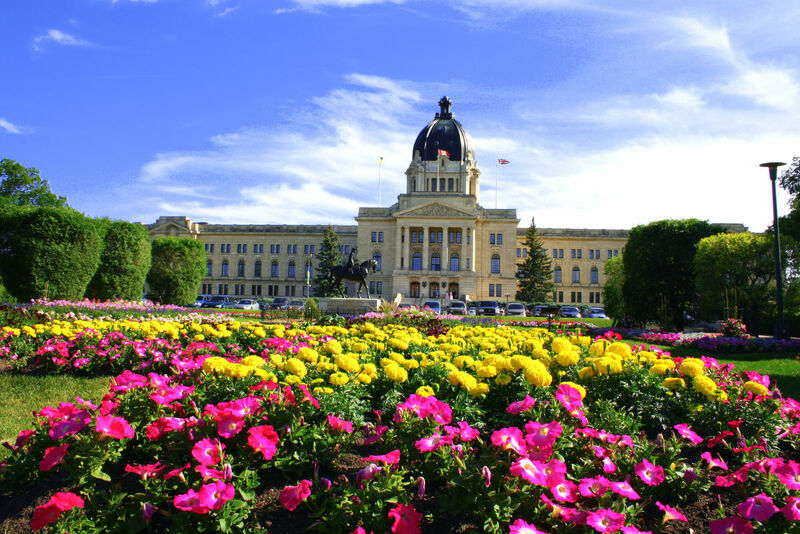 As a friendly Prairie city steeped in history, Regina has so much to offer. 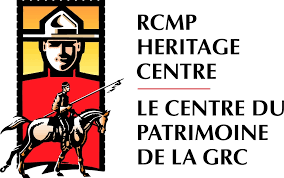 Whether you’re in town to catch the city’s beloved Saskatchewan Roughriders in CFL action at the iconic Mosaic Stadium at Taylor Field, or you want to bone up on your provincial history with a visit to the RCMP Heritage Museum, Comfort Suites is one of the most conveniently positioned hotels in Regina for those who want to get out and explore. 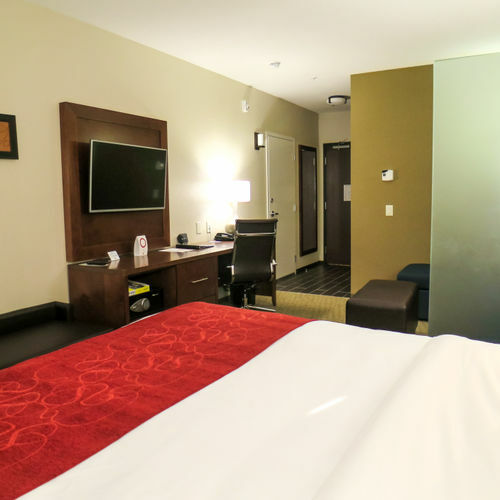 Situated in north Regina, our hotel offers easy access to Highway 11 North as well as to Albert Street and the city’s Ring Road. In just 15 minutes, you can be in the heart of the city’s downtown as well as Regina International Airport. 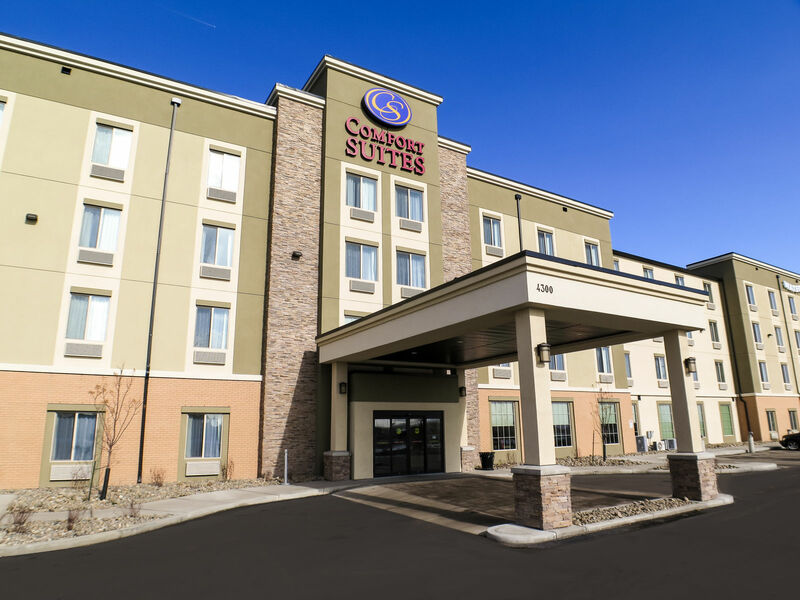 Comfort Suites Regina is close to most major sporting outlets, and you’re also within easy reach of several major shopping centres, more than a dozen restaurants and eateries, grocery stores and major services. 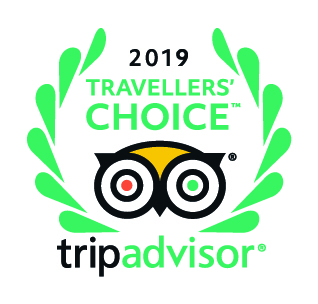 If you’re here to explore the city’s fantastic range of tourism attractions, be sure to check out our Explore Regina page, our informative articles about activities and upcoming events, and our amazing packages that let you combine staying and playing in Regina. 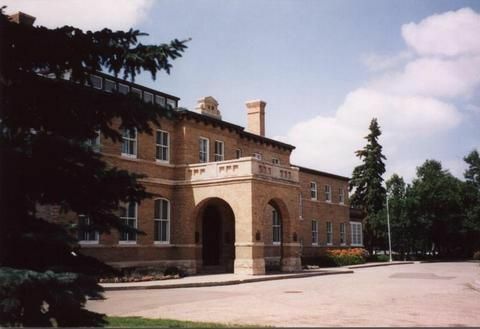 Offering an informative and interesting outing for the entire family, the Royal Saskatchewan Museum features many exhibits and interactive displays detailing the area's natural history. Admission is by donation. This is beautiful venue depicts the origins and history of the RMPC, and offers many interesting displays and activities that both children and adults will enjoy. Regarded as the largest urban park in North America, Wascana Centre is the perfect place to take a stroll or have a picnic. 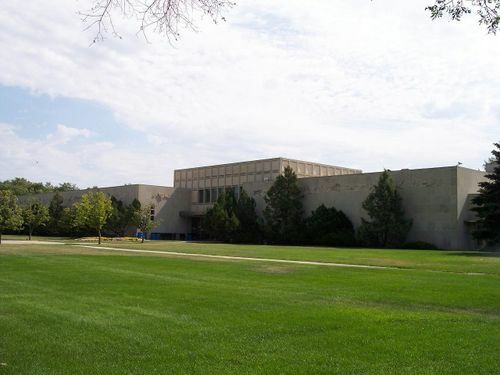 It is also home to the Saskatchewan Science Centre, University of Regina and Royal Saskatchewan Museum. 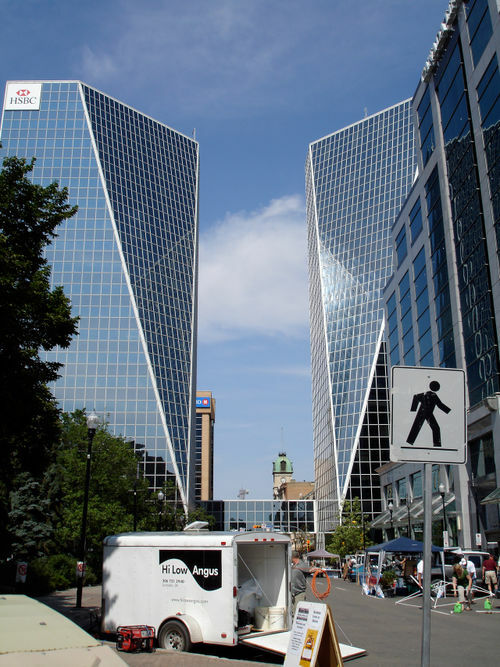 These twin towers are a city symbol and the most recognizable buildings in downtown Regina. The buildings feature dramatic 11 degree splayed walls. 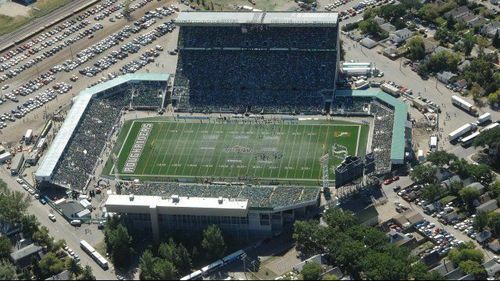 Home to the CFL's Saskatchewan Roughriders, this beautiful, state-of-the-art stadium first opened in 2016 and has a seating capacity of 33,000. 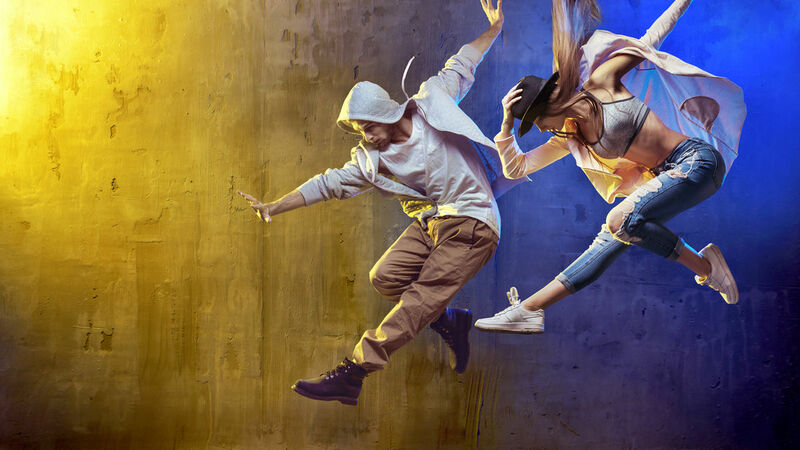 The dance and sporting competitive season is upon us. 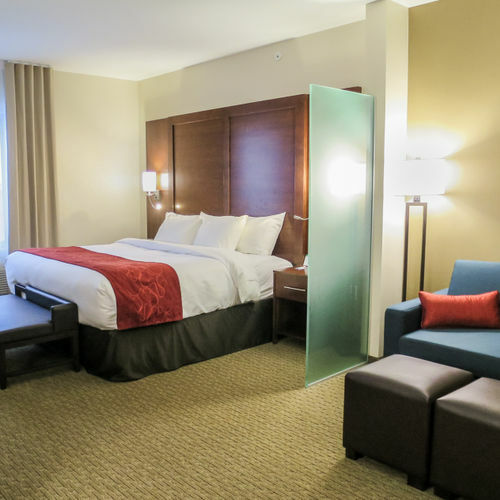 Time to book one of the best hotels in Regina for these upcoming events. There’s plenty to do on a rainy day in Regina. 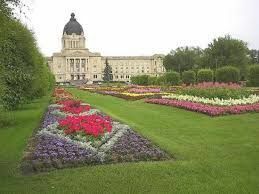 Check out some of these suggestions, all located within a short distance of one of the best hotels in Regina, the Comfort Suites! 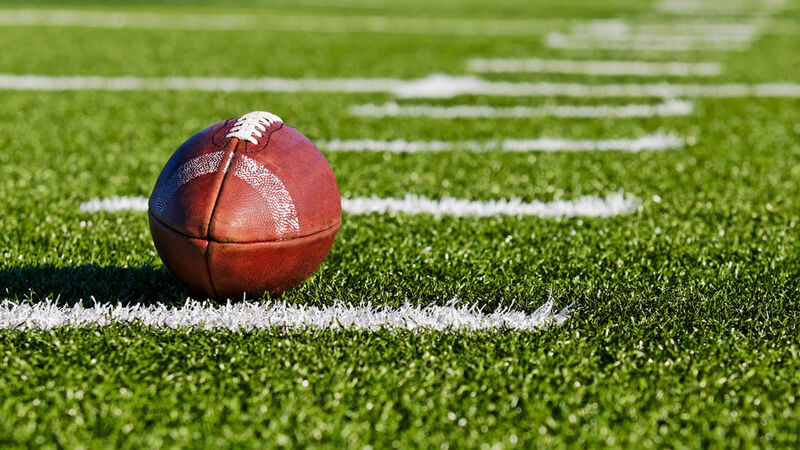 Celebrate Grey Cup 2020 and make sure to book one of the best hotels enough time before football fever strikes the Queen City. 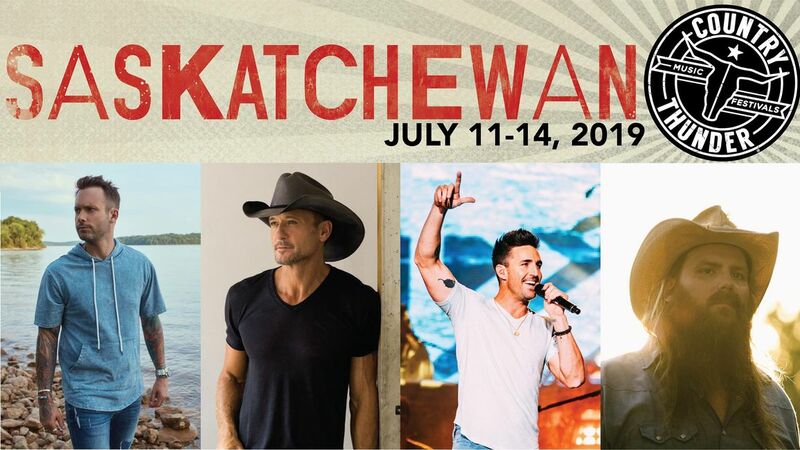 Stomp your boots to Saskatchewan’s biggest country music festival from our Regina hotel with this definitive guide to Country Thunder in Craven, SK.